Bus Charter Service Hamburg provides bus rental solutions for private and corporate clients. Rent our business bus or luxury coach and enjoy the ride to your destination in Hamburg. Visitors to Hamburg, enjoy the exciting cultural life of this bustling German city. Whether you are arranging a company outing or a tour of Germany, it simply makes sense to hire a charter bus to transport your group. Our friendly, professional drivers speak English and are ready to cater to all of your needs. We offer full coach service aboard our clean, state-of-the-art buses. Perhaps you want to see everything Hamburg has to offer. When you hire a bus, you benefit from the experience of a local driver who understands the culture of Hamburg and the surrounding regions. Your driver will take you to all the best sightseeing destinations in Northern Germany and can provide excellent information about dining and shopping venues. Bus Charter in Hamburg is also the perfect choice for a business outing. You can show your employees how much you appreciate their dedication to your company by taking them on a day trip around Hamburg and the outlying areas. 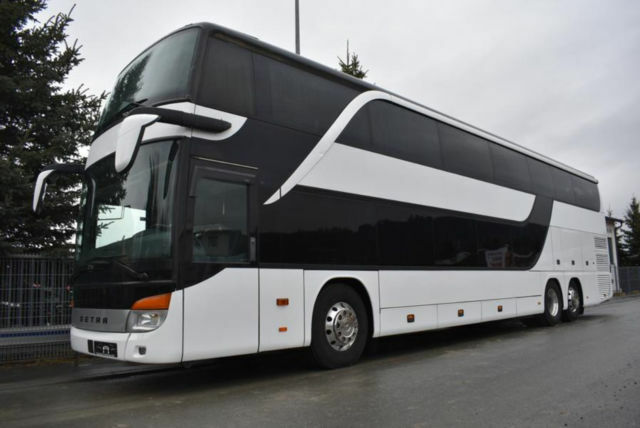 Our charter buses are designed to provide optimum comfort to all clients. Our buses seat between eight and 65 people. Each bus has a bathroom and washing facility. Many of our buses are equipped with refrigerators, DVD players and entertainment screens. Your group will be able to relax and enjoy the ride no matter where you go. We have years of experience in providing the best private transportation throughout Germany. It will be our pleasure to help you meet your transportation needs.